The guest speaker was CA Sheel Bhanushali, a Chartered Accountant with over 15 years of practice experience and specialisation in the field of Indirect Taxes. He took the students through the various stages of Goods and Service Tax implementation starting with its need and inception. 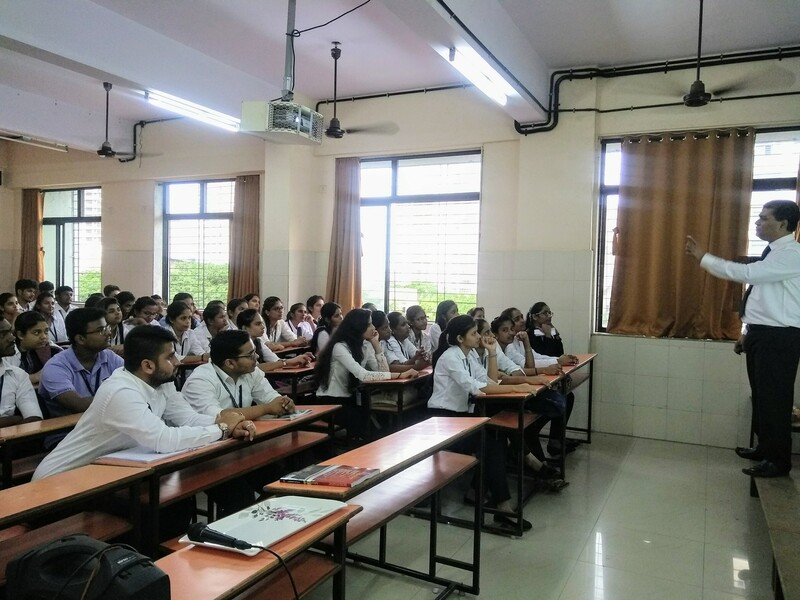 His basic and practical examples on the subject made it interesting and simple for the students to grasp the topic. Students immensely benefitted from this seminar which will assist them in their academics in the years to come.